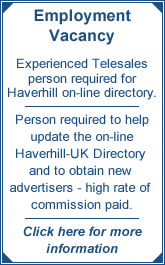 Haverhill-UK - News - Dawn of an international career? Dawn of an international career? She has been part of the Welsh team before, but this will be her biggest event to day. She has not yet received official notification of the events in which she will swim, but thinks it is likely to be in the 4x400 metres freestyle relay team. Already swimming around 17 hours a week, Jason expects to move into an even heavier training schedule nearer the event. She is still recovering from a sprained ankle, but hopes to be fully fit before the Games. Jason is part of a highly successful swimming family, with brothers Andrew, 18, Mark, 16, and sister Verity, 13, all having held national championships in their age groups. Her parents have also been involved with the West Suffolk Swimming Club. Luckily she does not sit her GCSEs until next year, but will continue with her course work in the weeks she is away from school for the Games. She will also attend a training camp in Lanzarote in May.